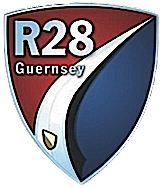 The Guernsey Region (R28G) covers half of the Channel Islands Region, covering the Bailiwick of Guernsey; the Islands of Guernsey, Alderney, Herm and Sark - although no cars are permitted in the latter two Islands. Guernsey lies approximately 60 miles south west of Britain, and 30 miles west of Northern France. Although only 25 square miles, Guernsey has one of the highest concentration of Porsches in the World with in excess of 500. Members have a great variety of cars, from early classic models to many of the latest models. With a speed limit of 35 mph and 80,000 cars registered on the lsland, most of the members' serious driving gets done off the Island; we claim the highest percentage of members that has undertaken the Club's Factory visit of any Region! We have a varied and roving program of events, including attendance at the Guernsey Classic Vehicle Club Car Show in June and an Annual Film night, but any event involving a meal at one our excellent restaurants tends to be popular. Due to the roving nature of our events, we do not have a regular Club night, but incorporate within our program occasional Sunday afternoon meetings at the Albert Pier, followed by coffee - usually at The Jerbourg Hotel overlooking the other Islands. We aim to keep members in the Region updated through our monthly email newsletter as well as provide regular updates on our forum pages. By clicking on the links below, members can view the Region’s events calendar, see what’s been happening, visit the Region’s Trading Post or access our resources pages. You can also keep up to date by following us on Twitter.